As per the current market trends, corporates are applying every possible strategy to stay ahead of their competitors. Mobile applications facilitate businesses to gain new clients by retaining existing ones. Mobile application development has come up as a need of today’s businesses. In addition, it is one of the success mantras for companies today. Mobile applications help companies in managing all stakeholders and also consumers. Also, applications are an effective tool for companies to take care of all the essential requirements. 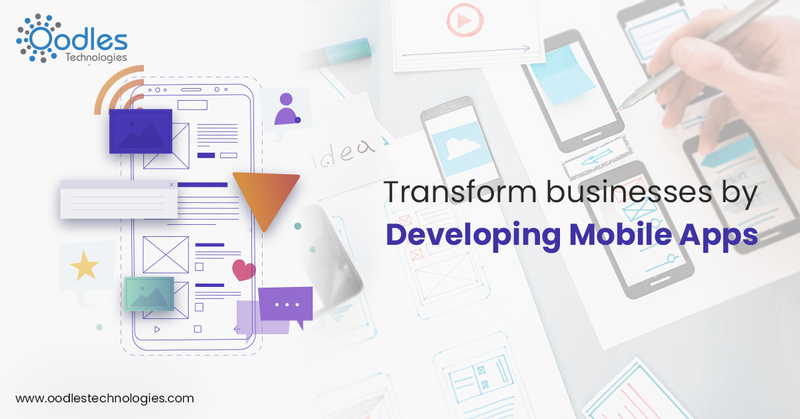 Mobile applications help companies create a direct and quick connection with their clients. It’s a great tool for the companies to inform their customers about latest offers, online discounts, and coupons. Ultimately, it works as an essential factor for raising sales. Mobile phones are amongst the highly used gadgets in our day to day lives. High use of mobile phones forces marketers to use this gadget for building brand image. Mobile phones are filled with lots of applications as mobile apps help companies showcase their product line to their customers effectively. Today, mobile applications have become the primary key to grab the customer’s attention. Customers can easily track their products and services anywhere, anytime 24*7. Mobile applications enable companies to gain new consumers. By and large, every popular application is present on all available mobile platforms. Even if the customers are living at any distance from your warehouse or store, they can purchase a product without going there. This helps in growing consumer base of that company or store. Compared with traditional ways of promotions, like print advertisements, and Commercials, promotions through mobile apps are the best amongst them all. Mobile applications are a great way to send alerts, promotional messages, coupons, and reward points to consumers. Conditions for consumers were never so easy before. Purchasing process has become easier and simpler for the consumers. All details with reviews about the products and services are available on the apps, help them buy an appropriate product. And they can easily buy anything they wish to by accessing applications on their smartphones. This can save their time and money, which they can invest in other useful tasks. Oodles Technologies is a market leader in building high-quality mobile applications. We provide customer-centric android app services having custom features that enable users boost their business revenues. We have experienced android and Ios mobile app developers, who build business-specific applications. Nowadays applications have all essential features that provide better customer experience to users. Have a mobile app idea in mind for your business, contact us now.